The company has grown successfully since 1987 under the guidance of the current owners through various changes and restructuring brought about by responding to market forces with strong industry skills and a committed work ethic, which has seen the exponential growth of the company. Well established in Domestic and Commercial Air conditioning installation, and Electrical Contracting the company has a well equipped workshop to produce all it's needs for both disciplines. Frames, stands, duct work metal and PE insulated board, canopies kitchen, dishwasher and dust extraction, benches, sinks, splash backs, designer cut outs with our CNC Plasma and CNC Router in various materials. Business is generated through an existing client base and active Web site and Facebook marketing. A shift in the market has seen a strong uptake in market share in light commercial and domestic markets. The business has developed a strong and regular client base with many Real Estate Agencies, Government Agencies, Commercial Business and Hotels for programmed scheduled maintenance, breakdowns and replacements. The company also carries out small to medium power and lighting solutions for commercial facilities around the region and is in the process of entering the solar power market with supply, Installation and service packages financed externally. •Combined Showroom, Office and Workshop, well located in the area. •Well established with long term customer base. •Reputation of being honest and hardworking. Backing itself and guarantees its work for 24 months, double that common in the industry. •Well equipped sheetmetal light engineering workshop, Producing quality fittings with speed. •In house design, manufacture, installation, commissioning, servicing - a one stop shop. •Fleet of vehicles, trailers. with 3 well equipped and stocked Installation and servicing vehicles. •Agents for Mitsubishi Heavy Industry, LG, Hitachi, Air conditioners. Bonaire Evaporative air coolers. •Licensed Electrical Contractor 9601, Artcik License AU06447, QBCC 80602. The Company pride themselves on the ability to provide a combination of quality customer service, quality products and services with great value for money. This is an opportunity for a buyer that can continue the success of this growing company and take this business to new heights. 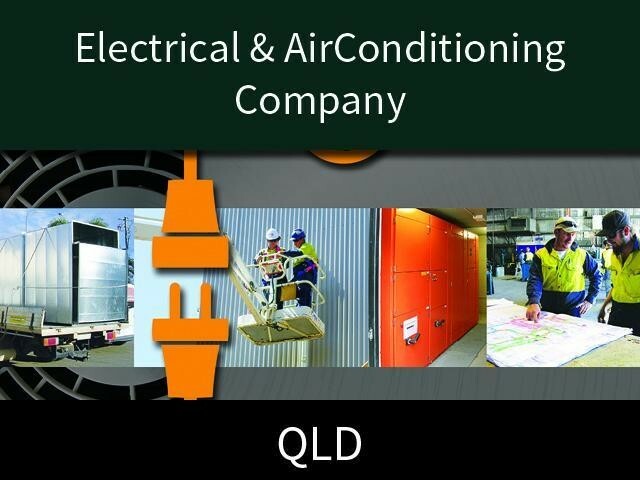 This Electrical Business is one of 18 businesses for sale in North Queensland, Queensland, and one of 30 Electrical Businesses in this region that a business for sale currently has on offer. This Electrical Business is for sale in North Queensland for the asking price of $1,800,000 WIWO and is new to the market.